India’s home-grown technology companies Flipkart and Ola have been long rooting for policies against what they feel is “capital dumping” by rivals such as Amazon and Uber. 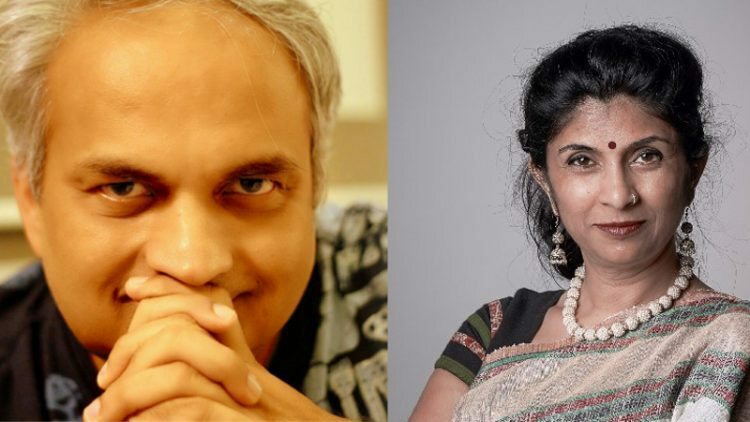 Latest to join the debate are venture capitalists Vani Kola and Mahesh Murthy. “… after a period of operating in India a firm cannot fund burn in India from operations abroad: like Indian firms, they would have to raise capital for the Indian entity from third parties. This ensures that at least some wealth creation in internet accrues locally, critical to the birth of a tech ecosystem,” Kola wrote on her blog on Medium. She feels that if India’s home grown internet firms fail, millions of jobs won’t be created. According to her, the homegrown companies provide more jobs than the foreign companies. Mahesh Murthy: Protection for what? Bad investments? Mahesh Murthy, Co-founder of early stage investing firm Seedfund, not only calls the entire “capital dumping” debate as “bizarre” but calls the pitches for “level playing fields” and the need to stop “capital dumping” as “hollow arguments” and “hypocrisy”. He asks on a post on LinkedIn, why the same level playing fields were not deemed necessary by the same venture capitalists when offline retailing giants like Big Bazaar petitioned the government for them against homegrown e-commerce players like Myntra and Flipkart, and when small shopkeepers asked for them to protect against another e-commerce player, Snapdeal. He feels that Flipkart and Ola (and Snapdeal and Myntra and Shopclues and Truly Madly and Food Panda and many other startups in India) have entirely been set up on a copy-paste model. He argues that unlike China and Russia, India is an open market and “copy-paste” job does not work here. “We’ve enjoyed the world’s best services simply because we have not had to force our people to use sub-standard products from some copy-paste guy who studied at IIT or IIM and then figured he could make a quick buck. “The BRICS theory – copy from the first world and paste into Brazil, Russia, China, India and South Africa – is more MBA twaddle, and just doesn’t work. “And nor has the government forced us to be nice to the VCs who made decisions to invest in copy-paste companies. The biggest of them all, Tiger, put a billion dollars in Flipkart, and on seeing that the bet didn’t work out did the right thing, one by walking away from India and this flawed thesis – and two, by putting a billion dollars in Amazon to perhaps atone for their sins. When you fail, you accept your failure and then make amends. “Another company too, Rocket Internet, came to India with this copy-paste thesis. But they’ve exited too, after the failure of this thesis in virtually every single company they funded in India: Food Panda, Jabong, Asasa, FabFurnish and the like. Though in all fairness it was not just a flawed thesis but crime-prone management in India that led to their demise here. “Neither of them asked for protection. Investments in startups are risky, and when you have a bad thesis, a bad business or a bad team, then you lose. They understood that. “But apparently our VCs want quotas and protection for the bad investments they’ve made. “As things stand now, nobody is willing to take these companies off their hands at the prices they’re quoting. Current investors in Flipkart have cut its on-book valuation from $15 billion to $5 billion. Snapdeal is apparently doing the rounds in a humbled, fraction-of-former-demand mode asking for money. As is Ola. “This makes the VCs sad, and delays, if not entirely destroys their pay day. Murthy is also scathing on the “ridiculous” salaries that the home-grown companies pay and terms the practice as “rip-off”. He claims that the HR head of Flipkart, “a gent with 8 years’ total experience”, earned INR 35 crore (approximately US$5,158,818) last year. And the founders get much more. Ananth Padmanabhan, a fellow at Carnegie India, states on a blog on Economic Times that in a digital economy, algorithm is policy. Self-regulatory measures by digital economy players to open up algorithms for technical inspection can go a long way in building trust. It was at at Carnegie India’s Global Technology Summit late last year, that Flipkart Founder, Sachin Bansal and Ola Founder, Bhavish Aggarwal took up cudgels against their foreign competitors and accused them of ‘capital dumping’.